I’m rather partial to silk georgettes and especially like them when there are a couple of layers, especially a heavier plain colour georgette underneath. This seems to give the fabric a weight and swishy-ness that it a little bit irresistible and totally great to wear. This dress-length silk georgette presented itself to me in a small shop on West 39th Street NYC, where a dig around also revealed Milly, Cynthia Steffe, Jill Stuart and Rebecca Taylor fabrics amongst many others. These are just the best fabric shopping excursions. This silk georgette is a lightweight one with a slight crinkle to it. You could wear this as a top or shirt (long neck ties!) without anything underneath because the colour scheme is quite dark. Dresses would need layers. 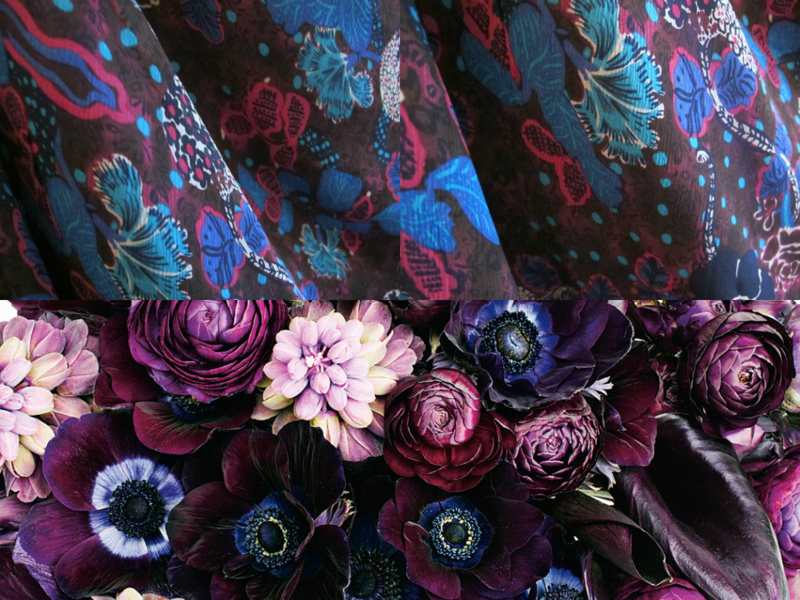 In these images I have photographed the fabric over a length of purple silk so you can see the colours. 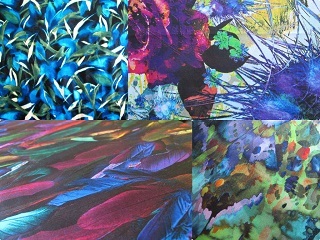 This fabric is 140cm and the length is 2.6 metres, so the fabric presents offer lots of options. Since I’ve seen some of the latest season garments by Proenza Schouler, I can’t go past the idea of the dress in the image below, with the front asymmetrical lap, contrast band, gathered waist. I love so much stuff those boys come up with. 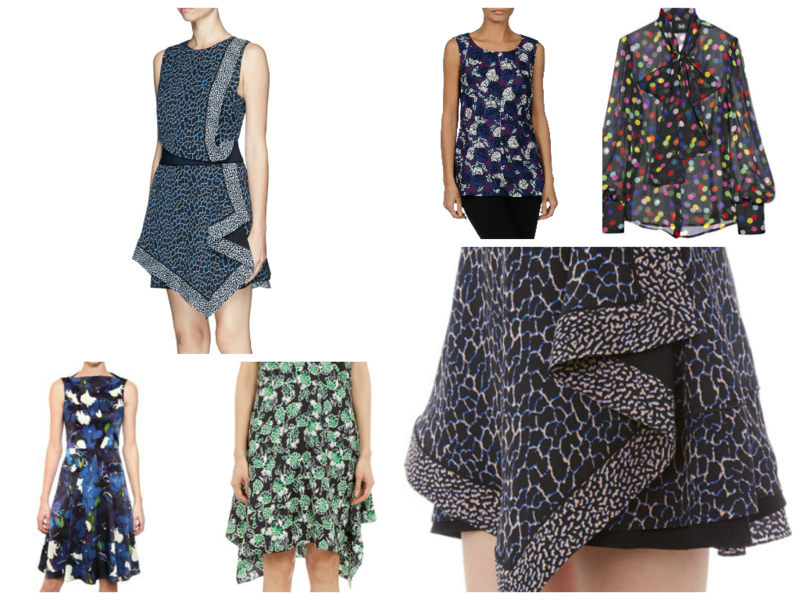 The Marni dress with the uneven hem is also a winner. 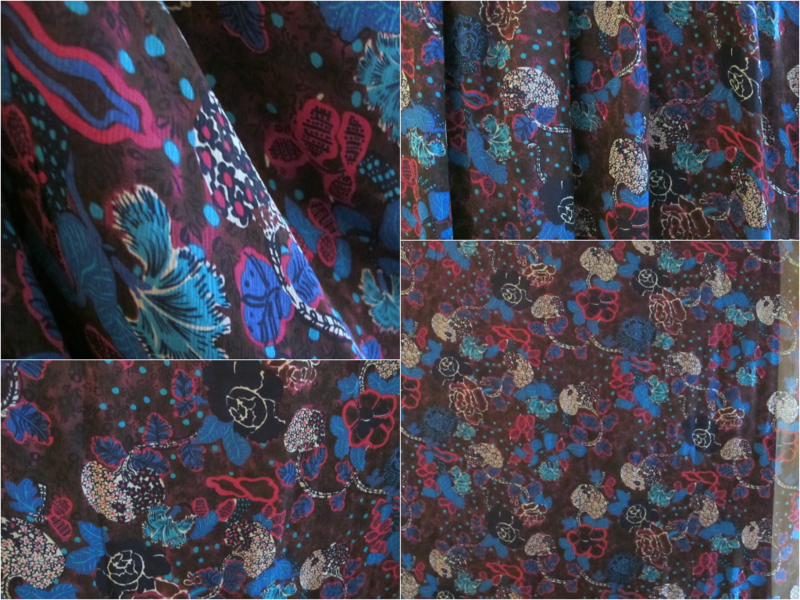 This silk georgette is $24 a metre/ $62 for the piece (140cm x 2.6m).